April 4, 2019 April 5, 2019 Tony3 Comments on The blog has gone quiet but why? A quick review of my latest activities plus some amateur video footage from the fields of lowland England. Just a brief update for my followers, I’m doing fine guys and who knows when I’ll be revisiting the blog, but I thought you deserved an explanation. This lady, Amanda is running a successful business from her Facebook page and I think it reinstates my mission as well. Do take a read and you’ll soon realise similar traits with my “naturestimeline in development” mindset as well, I’m sure. Bear with me, while I try to explain away the lack of postings on here, ever need a chat off my pages, drop me an email to tony-powell1 AT virginmedia DOT com. This past March has seen me out “in the field” or gathering highly desired data and typing up these plus other observations when back in the office at a higher frequency than ever before. Six clients served with more coming on board yet to have their patches monitored, four counties covered and probably a species total bordering on 100 plus. The attached video lets you know the score as far as I can indicate, just how Songbird-friendly some client’s sites truly are. I may do the observations, but you guys n gals (the farmers and land managers, that is), truly run the show. As always, I’m ever grateful to you all for helping to look after our farmland specialists and other beautiful creatures on your farmed lands. Bringing in the Farmland Birds (beware amateur style video footage within) – Fantastic habitat and conservation management in spades right here. 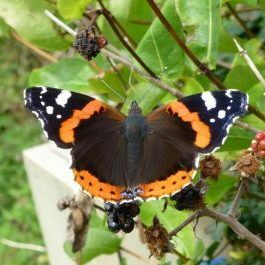 As ever, I thank my readers for taking the time to listen to my rambles; you can, of course, continue to access my Facebook updates by clicking on the Red Admiral butterfly icon below. Previous Photographs From The Field! The year so far – January through June. I’m sorry Tony but that link to Amanda’s page doesn’t work for me! Hi Clive, a few editing issues and we should be good to go, please try again later this afternoon. It is good to get good news every once in a while!